At Levenson Smile, patients in and around Worcester, MA have access to some of the latest methods of improving the smile. When misalignment is present, some patients choose to move forward with braces. However, there are benefits to considering alternative solutions such as Invisalign treatment with the dentist you already know and trust. Dr. Stanley M. Levenson and his team of professionals are committed to helping patients find solutions for misaligned teeth that are best for their specific needs and desires. Many patients ask about Invisalign treatment when they hear they can adjust their smiles without the need for traditional metal bracket and wire braces. Dr. Stanley M. Levenson describes Invisalign as aligner treatment. Instead of brackets and wires, Invisalign works with custom-made dental trays that are made of clear, medical-grade plastics. The trays snap over the dental arch and gently move the teeth into better positions. This allows patients to improve their smiles without the embarrassment of metal appliances covering their teeth and making them feel self-conscious about their smile. 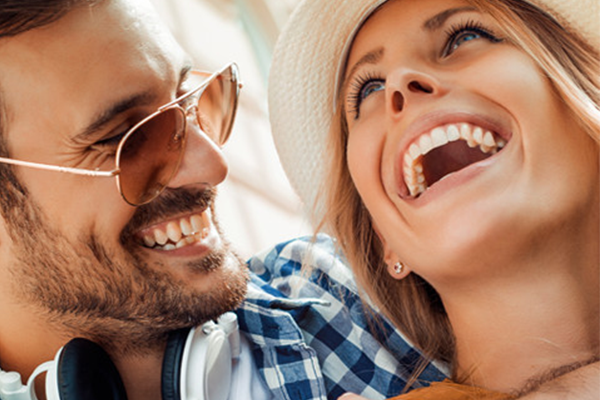 Discreet – the primary advantage of Invisalign is that gives patients the opportunity to improve their smile while not feeling embarrassed about it. Invisalign is practically indistinguishable from the natural teeth and provides movement without brackets and wires. Affordable – many patients will find that Invisalign treatment is comparable in cost to traditional orthodontia, eliminating cost as a factor to not move forward with Invisalign. Comfortable – Invisalign trays are created using digitized impressions of the patient’s smile to ensure they are a tight and precise fit over the dental arch. Additionally, the trays are made of smooth plastic which eliminates cutting and irritation of the soft tissue in the mouth – a common concern with traditional brackets and wires. Effective – not only is Invisalign clear and less noticeable than conventional braces, but Invisalign is effective when patients comply with treatment. Achieving results can be done easily with the use of the trays as directed by the dentist. Better for your oral health – because Invisalign does not require brackets and wires, and because it is easily removable, patients can brush and floss their teeth as they normally would. This, in turn, allows patients to maintain their oral health and wellness easier. It is not necessary to try to floss around appliances that make it difficult to get the job done. Dr. Stanley M. Levenson and his team of professionals are committed to helping patients find solutions for misaligned teeth that are best for their specific needs and desires. Patients who are considering treatment first attend a consultation appointment with Dr. Stanley M. Levenson. Patients ask questions about the treatment and the dentist will determine if patients are candidates. Then, a special device is used to take digital impressions of the dental arch. This data is sent to the Invisalign laboratories where a series of trays are made for the patient. The number of trays in a series will vary, depending on the changes that need to be made in the smile. Less severe cases will require fewer trays. Patients come into the office to pick up their trays and learn how to use them. Each tray is a step-through treatment. Patients start with the first tray and wear it for two weeks day and night, only removing it to eat, drink, and care for their teeth. Once the two weeks is up, this tray is stored and the next tray in the series is used for two weeks in the same manner. Over the course of time, the teeth are gently repositioned, and the smile is straightened to the desires of the patient. It is important that patients comply with their treatment to get the results they expect within the timeframe discussed. DO YOU WANT TO FIND OUT IF INVISALIGN TREATMENT IS RIGHT FOR YOU? Getting a proper diagnosis of your condition and an examination to determine your candidacy for treatment is the first step in learning more about Invisalign as a solution to your smile! Contact Dr. Stanley M. Levenson and his team in Worcester, Massachusetts by calling (855) 849-8255 today. Our practice is conveniently located at 9 Linden Street and is always accepting new patients for comprehensive dental care.